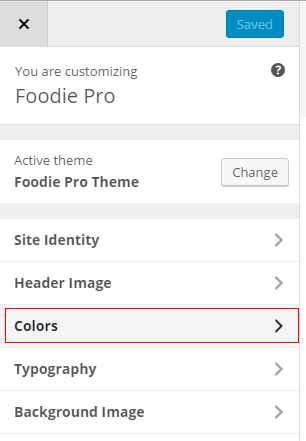 On this page I will Change the color of the Site Title and then upload an image logo to Foodie Pro to replace the text version of the Site Title. 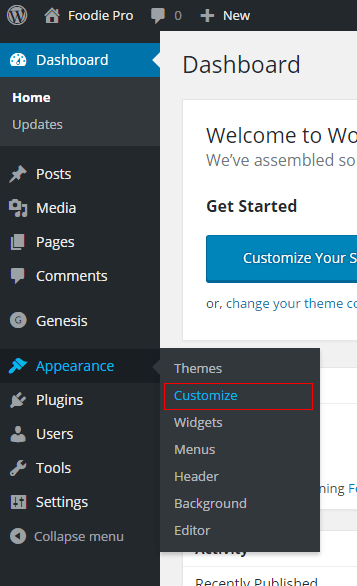 By default, WordPress uses a text logo for your site. 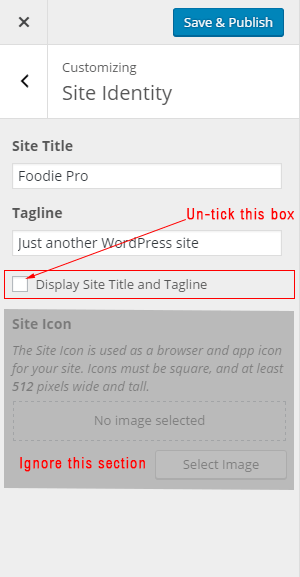 To change the text color of your Site Title in Foodie Pro is easy. Click the: Site Title Color, button. So in Foodie Pro your tagline is the same color as the main body text of your web pages. This is usually Grey or Black. Replacing the site title TEXT with an IMAGE logo. First you’ll need an image logo of exactly the right size. If your logo is not exactly 800×340 pixels it will be cropped by WordPress. So remember, your logo must be exactly 800×340 pixels if you want it to display properly. Why such a big logo? 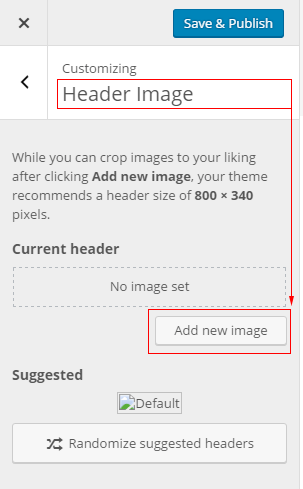 The reason you need the large logo image is so WordPress can display a crisp clear image on retina screens. Your logo will never actually display at it’s full size. First you must remove the Site Title text and tagline text. Remove the tick from the Display Site Title and Tagline tick box. Ignore the Site Icon image option for now. This is nothing to do with your logo! Don’t forget to click the Save and Publish button and close the customizer. If your logo looks too big, or you can see the text AND the image logo. Make sure you followed the first step above. That removes the text title and tagline (the Site Identity). With the help of Foodie Pro, your site is now starting to take shape.